Carbon Sequestration is a process for mitigating the contribution to global warming by capturing the excess CO2 emitted from fossil fuel burning power plants (and other industrial facilities). The CO2 is captured at its source and then injected into depleted oil and gas reservoirs. However, the ramifications of long term CO2 storage are at this point uncertain. In addition, the process is expensive and could increase the fuel needs of a power plant, depending on its proximity to a storage location. Dr. Tim Dixon from the University of Southern Florida aims to help determine the feasibility and safety of carbon sequestration by using GPS and seismology to monitor the injection of CO2 on oil fields near Houston, Texas. 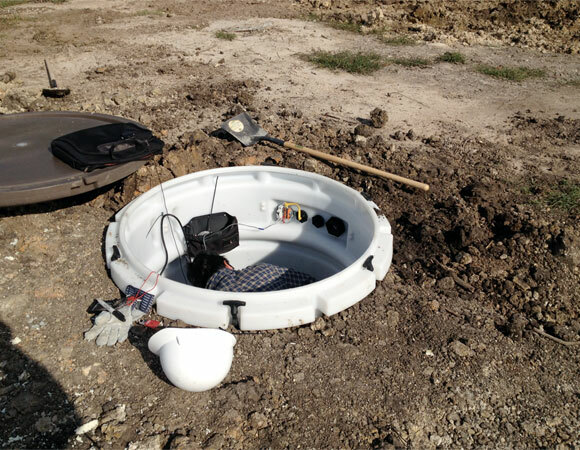 In early October of 2011, UNAVCO engineers Sarah Doelger and Brendan Hodge traveled to Houston to install a network of 3 CGPS stations, directly adjacent to 3 separate CO2 injection platforms. 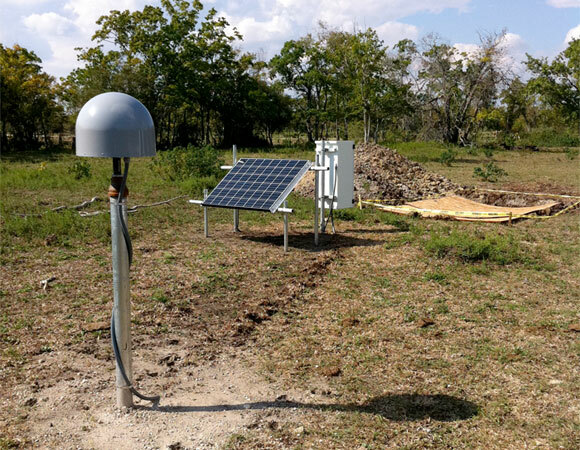 The following week, Sarah Doelger and UNAVCO strainmeter engineer Wade Johnson, along with researchers from the University of Miami, returned to co-locate seismometers at each CGPS site. Data will help track any suspicious deformation or seismic activity associated with the injection process. Figure 1. 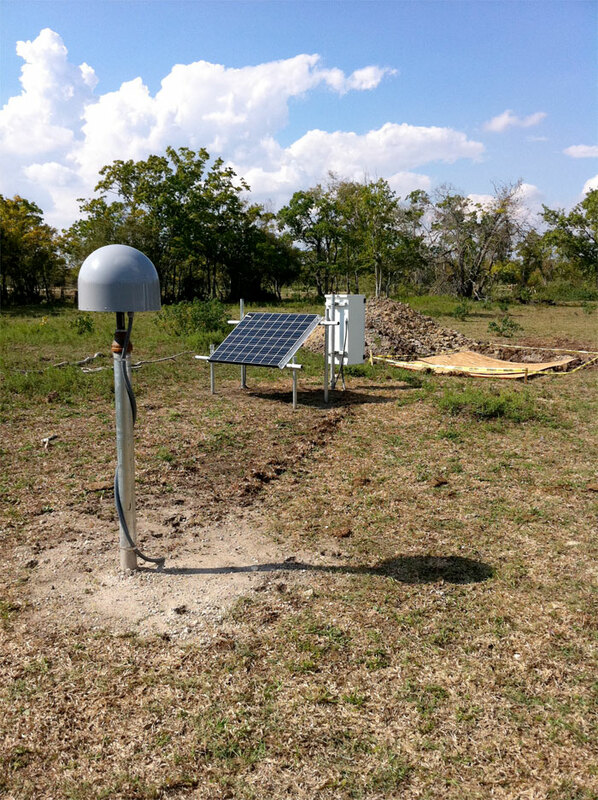 PhD candidate Peng Li, from the University of Miami, installs the first of three seismometers to be co-located with the GPS stations. Photo credit Wade Johnson. Figure 2. A GPS site with a pit in the background awaiting the arrival of a seismic vault. Photo credit Sarah Doelger. Monitoring, Verification and Accounting (MVA) – development and deployment of technologies that can properly track stored CO2 to ensure it is properly accounted for and will remain permanently sequestered.